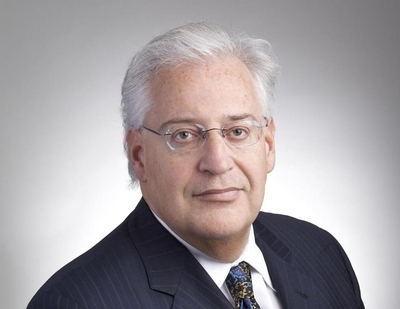 DAVID FRIEDMAN avidly supports expanding Israeli settlements in the West Bank, unequivocally rejects a "two-state solution" to the Israeli-Palestinian conflict, and strongly believes the US embassy in Israel should be moved from Tel Aviv to Jerusalem. Those positions put Friedman — Donald Trump's bankruptcy lawyer and close friend — sharply at odds with the US foreign-policy establishment and entrenched conventional wisdom. So when the president-elect announced on Thursday that Friedman was his choice to be the next ambassador to Israel, alarm bells started clanging. J Street, the left-wing Jewish activist group, called Friedman "a horrible choice" for ambassador, and launched a campaign to block his confirmation in the Senate. Democratic Representative Jerrold Nadler, denouncing Friedman's "extreme views," said the nomination "underscores, yet again, the extremist agenda of Donald Trump." Americans for Peace Now blasted the pick as "a destabilizing move" that "adds fuel to the Israeli-Palestinian fire." In an editorial, the New York Times labeled Friedman's views "dangerous," "extremist," and "reckless." To be sure, Friedman is no diplomat, and his language has not always been diplomatic. In a now-infamous column in June, he smeared J Street's Jewish supporters as "worse than kapos," a reference to Jews in the Nazi death camps who cooperated with the SS. That was a repugnant analogy, for which Friedman should be ashamed. What horrifies Friedman's critics, though, isn't his choice of words. It is his readiness to slay the long-lived sacred cows of US policy in the Middle East — above all, the egregiously misnamed Israeli-Palestinian "peace process" and its delusional goal of a "two-state solution." For decades, American administrations have leaned on Israel to accommodate their Palestinian foes, in the belief that the key to a lasting peace can be forged with Israeli concessions and goodwill gestures. Under Republican and Democratic presidents alike, Washington's emphasis has been on cajoling, exhorting, and pressuring Israeli leaders to accede to Palestinian demands. It has become a central plank of US policy that the way to neutralize Palestinian hostility is through Israeli compromise, retreat, and forbearance. But appeasement has not achieved peace. Israel has gone to extraordinary lengths in its desire to end the conflict — from agreeing to the creation of the Palestinian Authority, to offering shared control of Jerusalem, to expelling Jews from the Gaza Strip and handing the entire territory to the Palestinians. The results have been catastrophic. Palestinian society is more rejectionist than ever. Opinion polls consistently show large majorities of Palestinians rejecting the legitimacy of any Jewish state in the region. As recently as last week, the Palestinian Center for Policy and Survey reported that 65 percent of Palestinians do not support a two-state solution to the conflict. By its own terms, the existing approach has been a fiasco: A peaceful resolution to the conflict has never been further off. Isn't it plausible to conclude that the existing approach should be scrapped? Friedman's view is that US policy should be sharply reoriented — away from pressuring Israel to keep taking more "risks for peace," and toward pressuring the Palestinians to abandon their oft-stated ambition of eliminating the Jewish state. The incoming Trump administration, Friedman explained recently, "doesn't see much opportunity for progress until the Palestinians renounce violence and accept Israel as a Jewish state. That's really a prerequisite." Israel unilaterally dismantled every Jewish community in Gaza, and handed the entire territory to the Palestinian Authority. 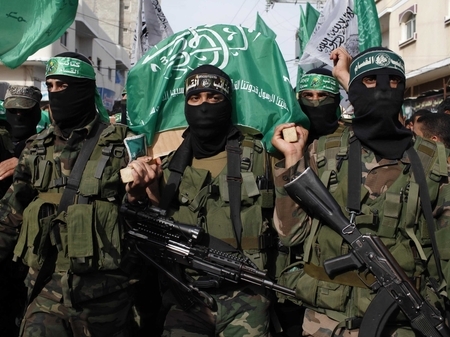 What it reaped in exchange was not peace, but terrorism, rocket attacks, and kidnappings. So long as the Palestinian Authority is obsessed with demonizing Jews and extolling terrorists rather than with building up the institutions of a healthy state on the land it already controls, Friedman argues, the US government should not restrain Israel from acting in its own best interests. That means not "dictat[ing] to Israel where it can and cannot build" housing, and not "seeking to impose" a two-state paradigm that requires uprooting Israeli Jews from their West Bank or Jerusalem homes. It also means moving the US embassy to Jerusalem, the seat of Israel's government since 1949. In liberal circles, these may be heresies. But the Oslo "peace process" failed, and prudent policy-making should absorb the lessons of that failure and adjust. America's overriding interest in the Israel-Palestinian arena is not to ensure the creation of another dysfunctional Arab dictatorship. It is to ensure the strength and security of the world's only Jewish state, an indispensable US ally in a dangerous part of the world. Of course it is too soon to know whether Friedman has the personal skills to succeed as ambassador, or to what extent his views accurately reflect the policies Trump will pursue. But this much, at least, seems clear: Trump envisions a dramatic break with past US policy. The establishment won't like it, but it's about time.